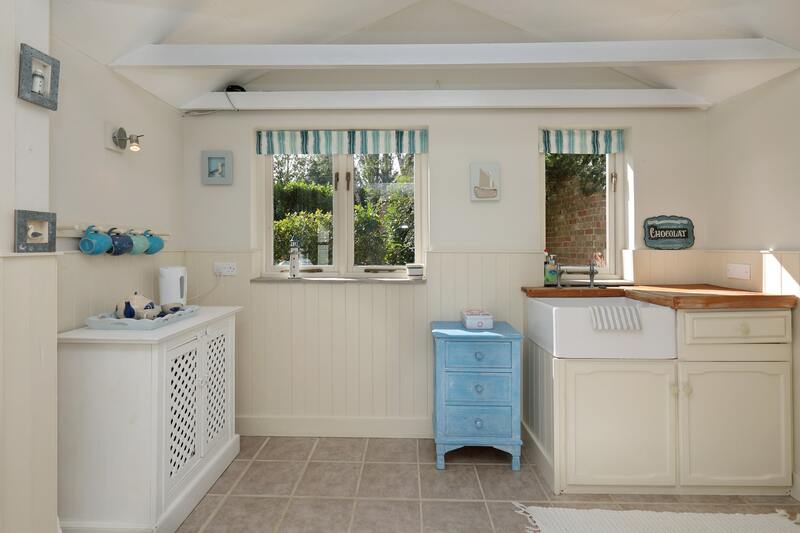 We are delighted to introduce this beautiful artisan cottage. 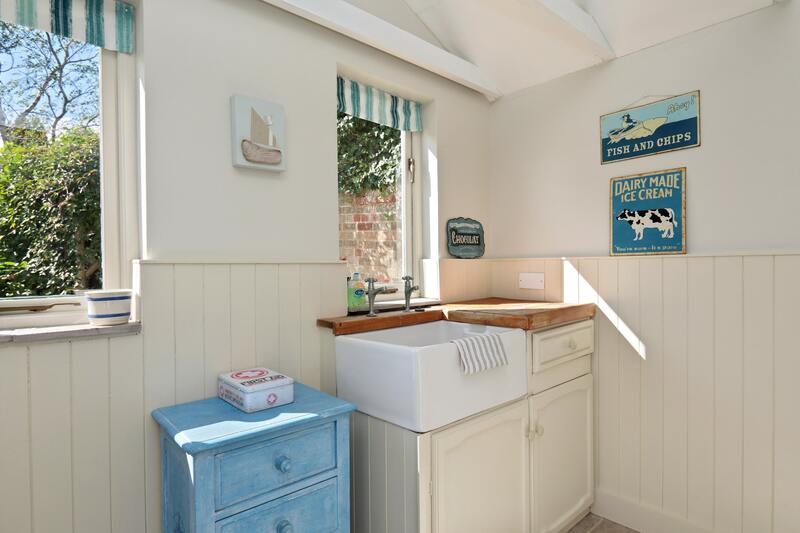 The owner has decorated the cottage lovingly, with particular attention to detail - all of the paintings inside the cottage are by the owner's fair hand! 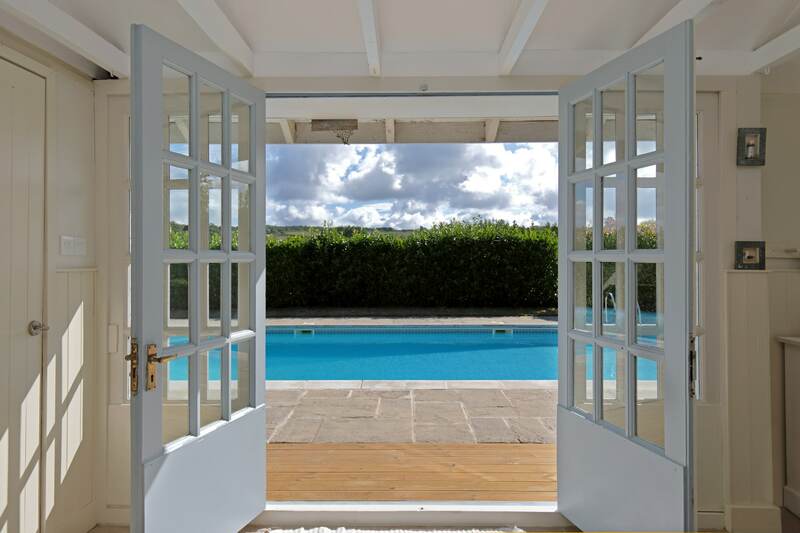 Perhaps one of the biggest attractions is free use of the owners 36ft swimming pool (at set times in the warmer months). 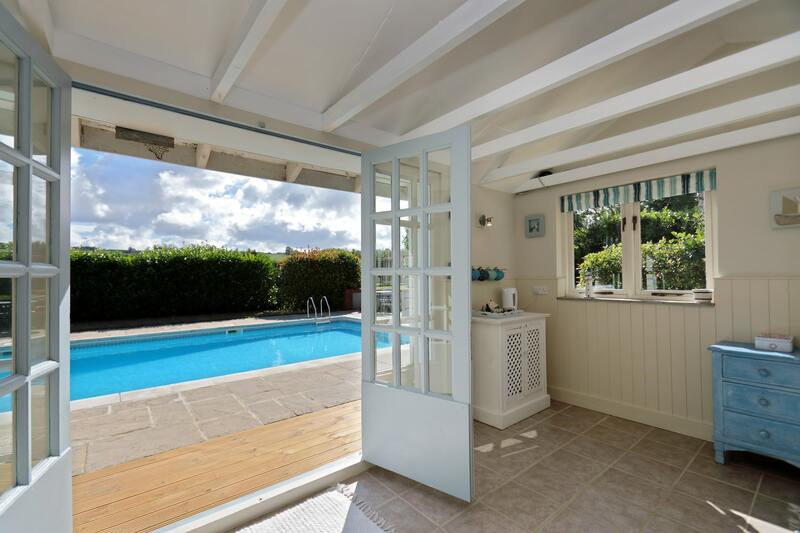 Outdoor facilities include a pool house with shower, W.C and decking area. 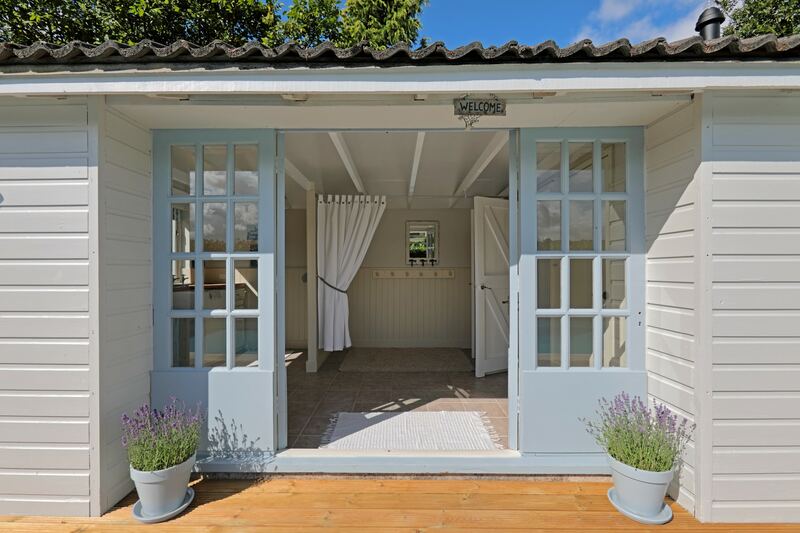 This is a real treat after a busy day exploring, or perhaps you may like to spend some of the day pool side with your loved one! 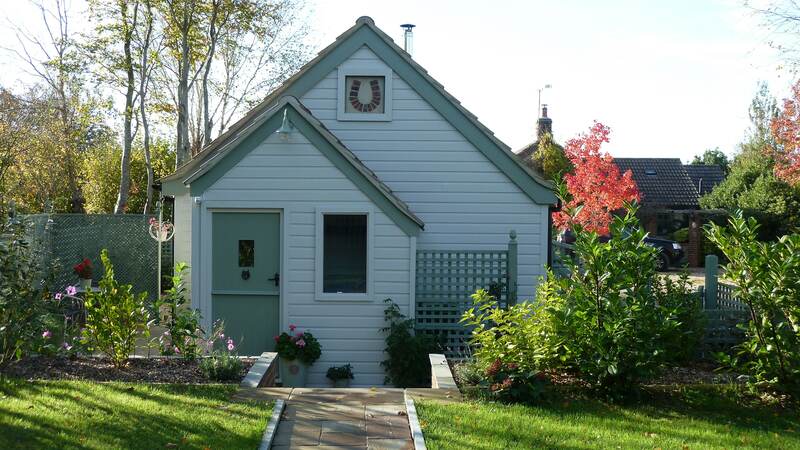 This newly converted 1-bedroom cottage boasts many features to ensure you have a memorable stay. 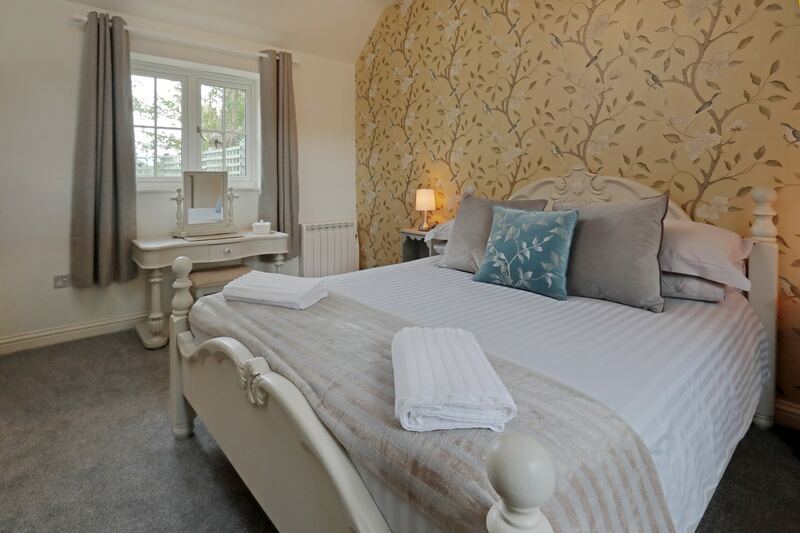 The spacious bedroom with beautiful feature bed has been interestingly decorated and benefits from a lovely en suite shower room. 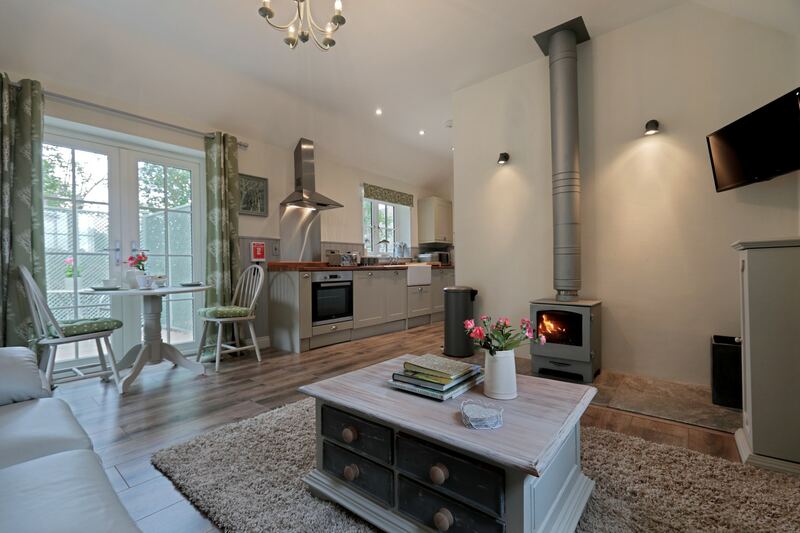 The bright and airy lounge has a small log burner which adds to the cosy romantic ambience, and the galley style, fully equipped kitchen is well appointed for your ease of use. 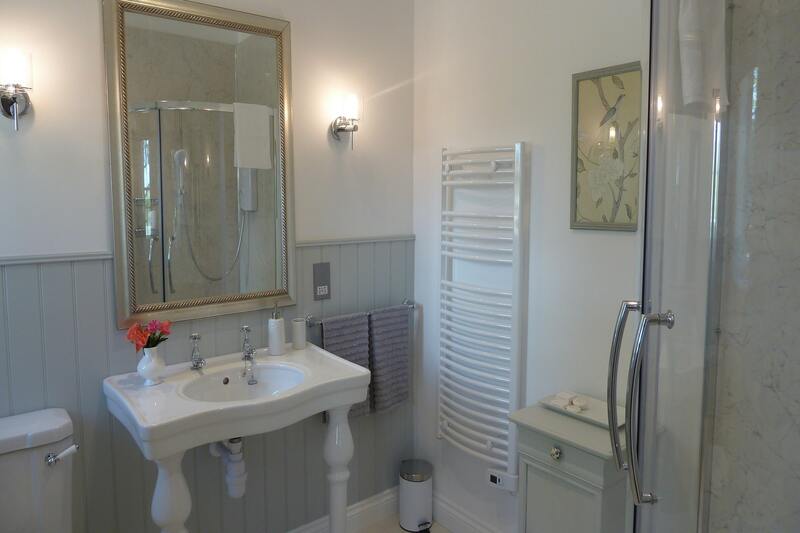 The cottage has private off-road parking for 2 cars and wheelchair access. 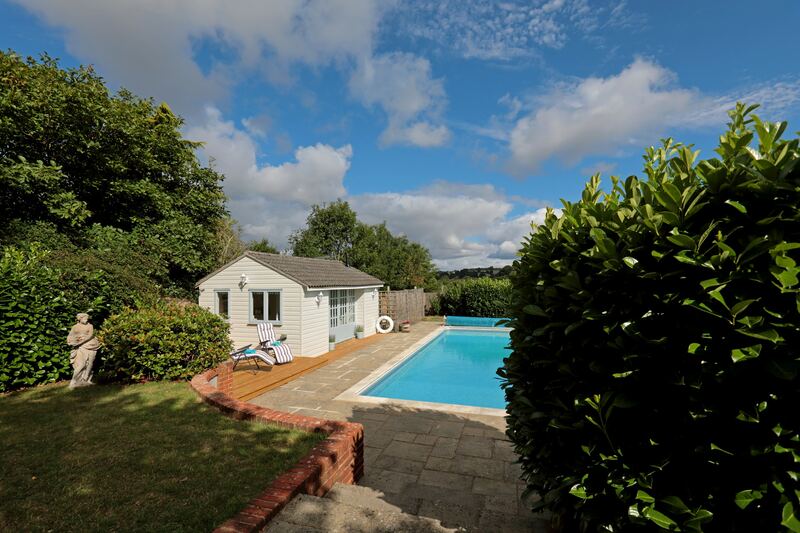 It also has a medium sized secure garden and one small well behaved dog is welcome at no extra cost. 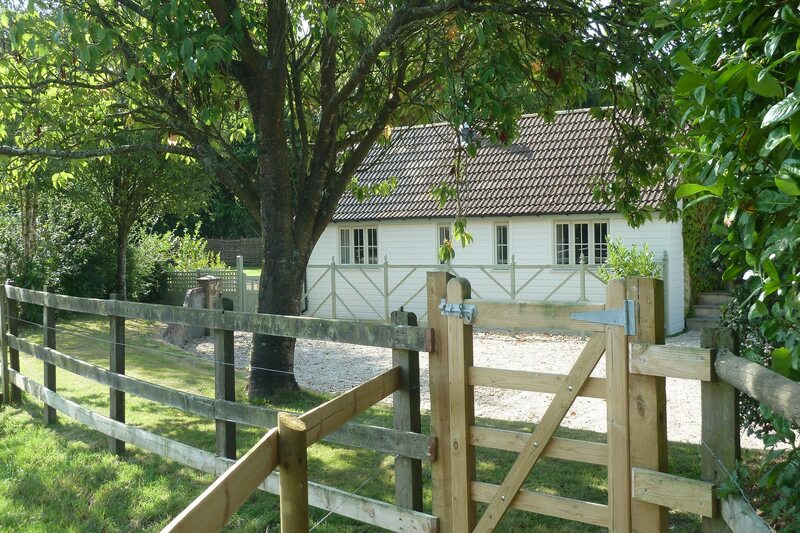 Stable cottage can be found in the rural Hamlet of Chantmarle, just outside the town of Dorchester. 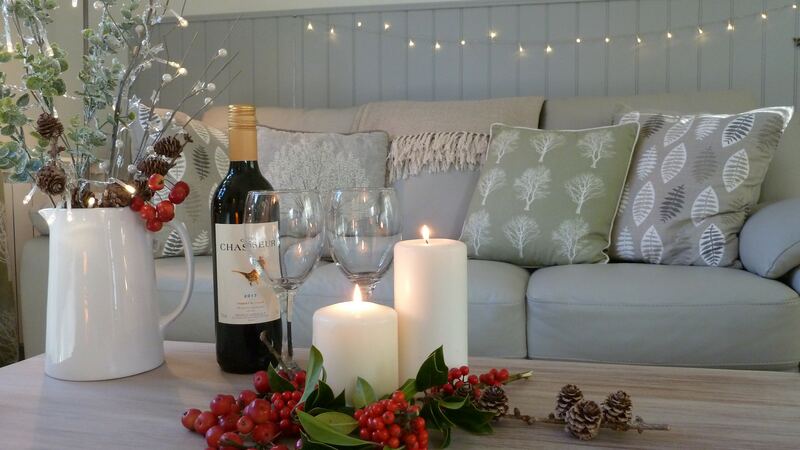 The name Chantmarle translates from Norman French as 'the song of Blackbirds' and whilst standing in the garden of Stable Cottage looking out on to Dorset's beautiful rolling hills, you can certainly hear why! 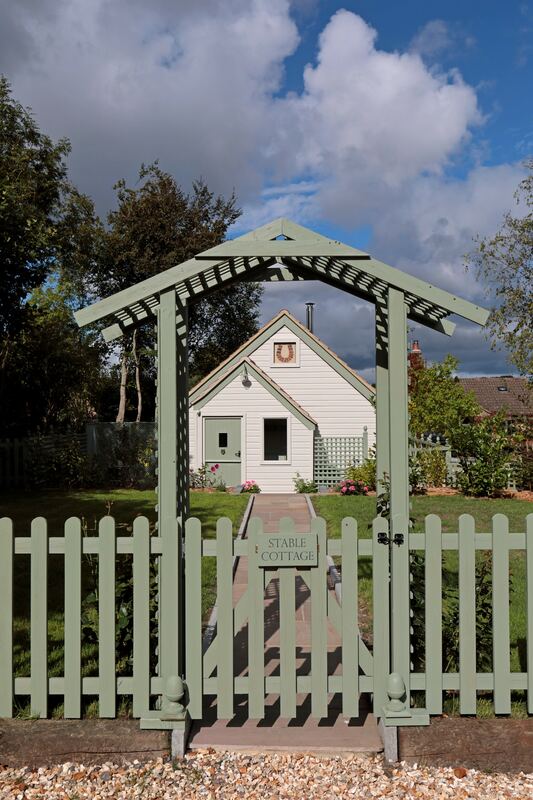 The first thing that strikes when you arrive at Stable Cottage is the lovely peaceful setting. The tiny Hamlet of Chantmarle has just a handful of pretty thatched cottages that used to service the Elizabethan Manor house, from which the Hamlet takes its name. That being said, the Roman Town of Dorchester is only a 15-minute drive away, and the town of Yeovil just 20 minutes. You will always find things to entertain you within a short distance. The countryside in this area is truly stunning - it's essential to remember your walking boots! 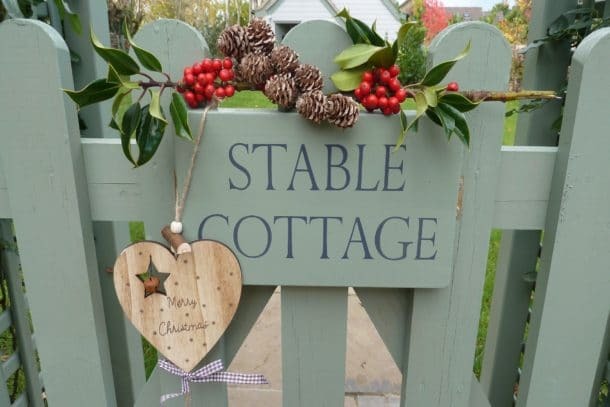 Stable cottage is perfect for those that want to get away from it all, and you'll still find amenities in the surrounding area such as beaches, artisan eateries, boutique shopping and more. 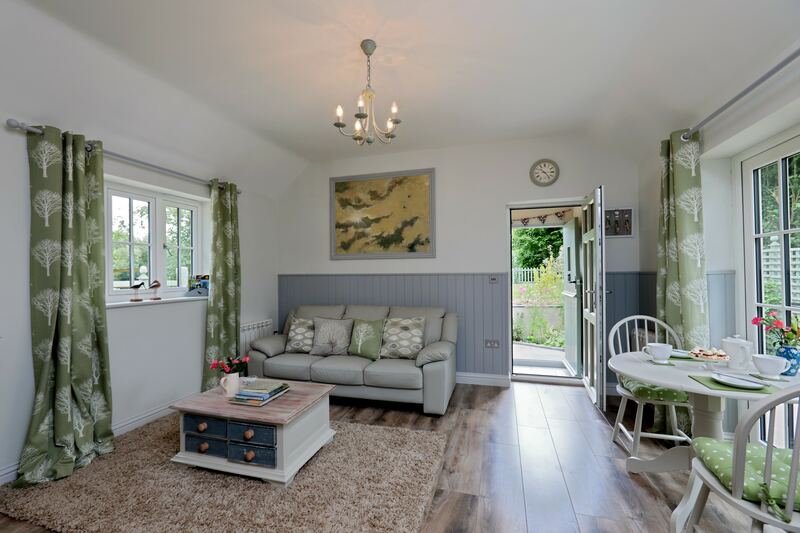 Should the beautiful countryside that envelopes the cottage inspire you to start painting, the owner is available to give guests a painting lesson for a small fee. 1 bedroom (G/Floor). 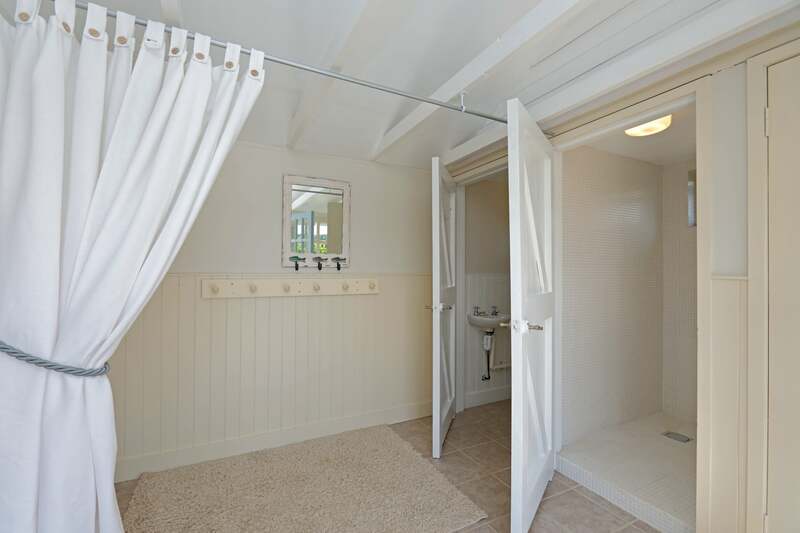 King, with en suite shower room + WC. Lounge, Smart TV, log burner. Kitchen, elec. 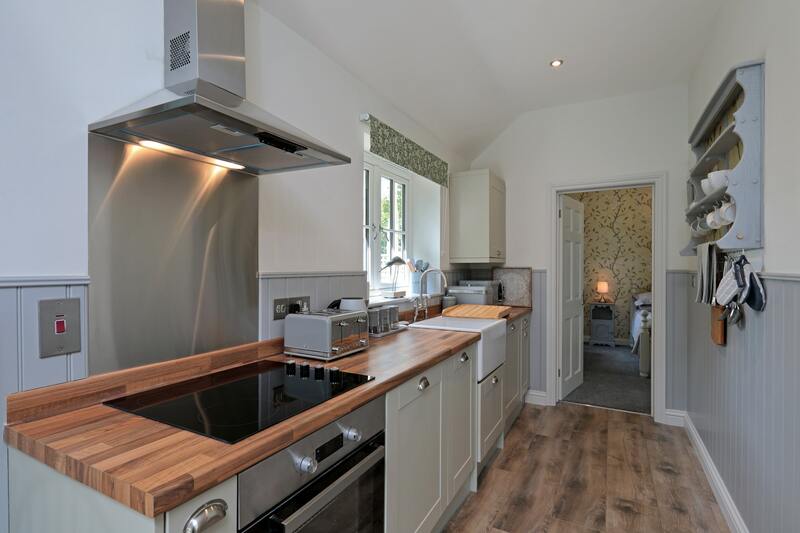 oven, hob, microwave, dishwasher, washing machine, fridge (ice box), breakfast table for 2. Secure garden, gravel area with charcoal BBQ, further patio with garden furniture, small lawn area with access to parking. 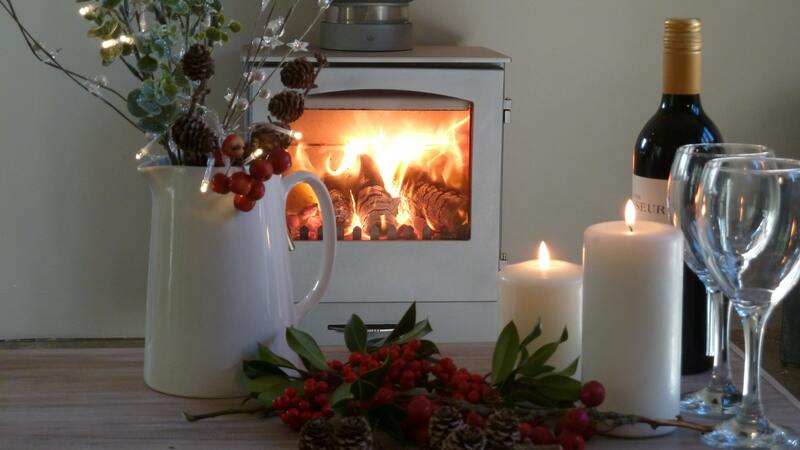 Electric thermostatically controlled heating. Parking for 2 cars off road. Level disabled access. 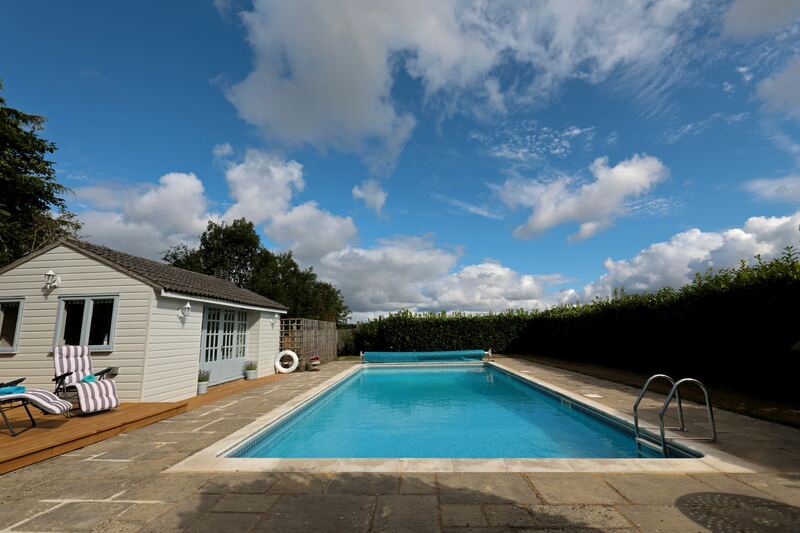 Swimming pool with pool house, changing room area, shower, W.C, decking area, sun loungers and towels available. 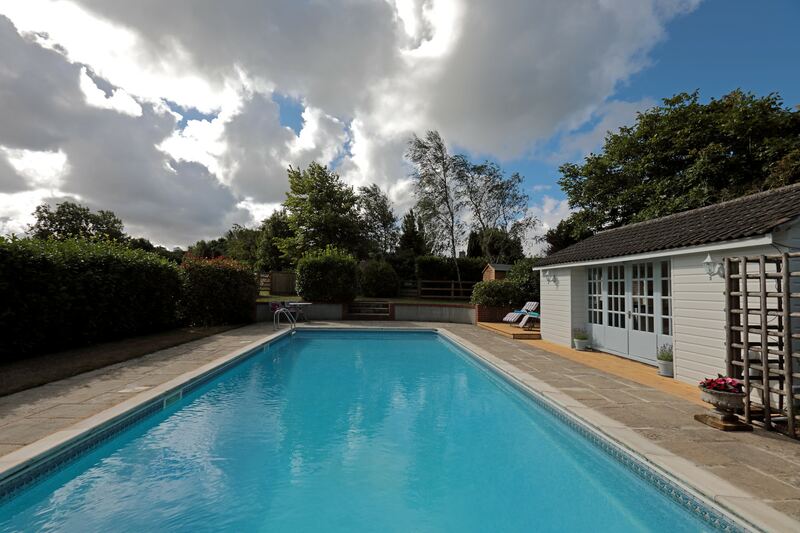 The swimming pool is available from 1st May through to 31st September. 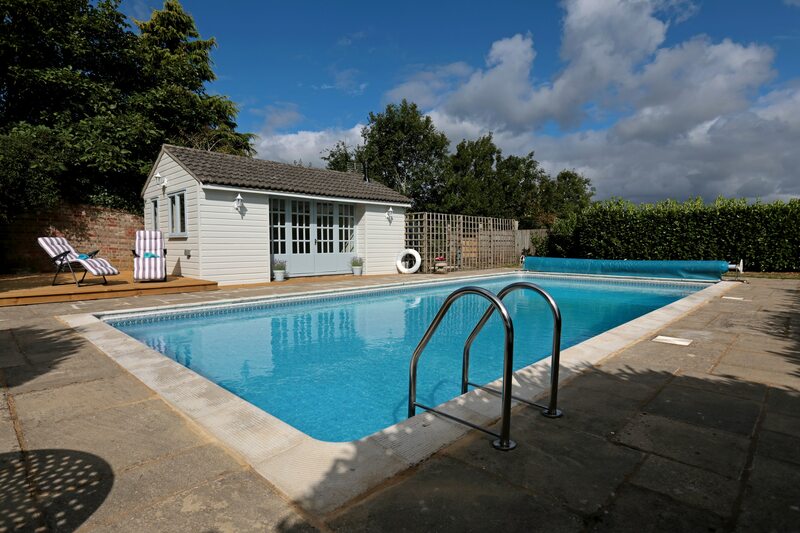 The swimming pool is for private use for guests of Stable Cottage at flexible allocated time slots. Time slots are Monday to Friday - 10am to 2pm, Saturday and Sunday - 10am to 12pm and 5pm to 7pm. If you would like different time slots, please contact the owner upon arrival. Travel cot available on request, WIFI. One small well behaved dog welcome. Linen and towels available. Owners close by. Swimming Pool Disclaimer – please read carefully. 10% Price Reduction On 7 night Bookings up to 1st August. What a fantastic cottage! 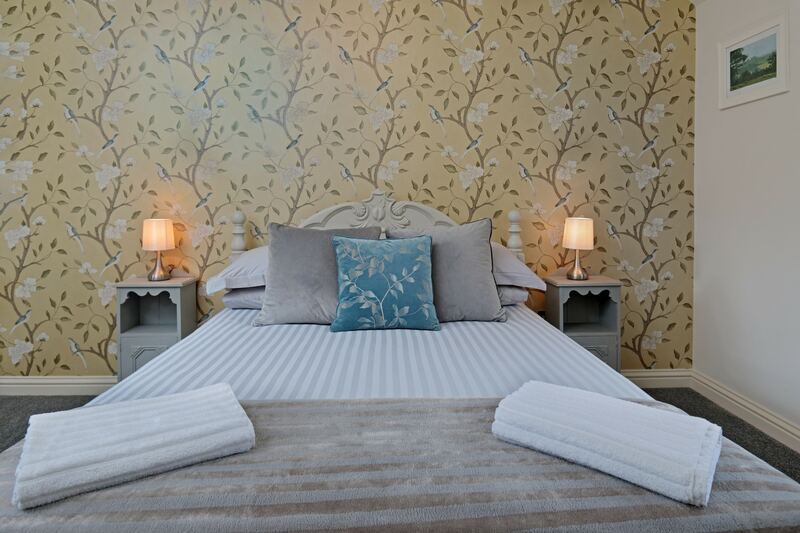 The interior is modern with beautiful furnishings and accessories, everything needed for a really comfy stay. It was clean and bright, thick carpet in the bedroom, an excellent shower and very comfortable king bed. 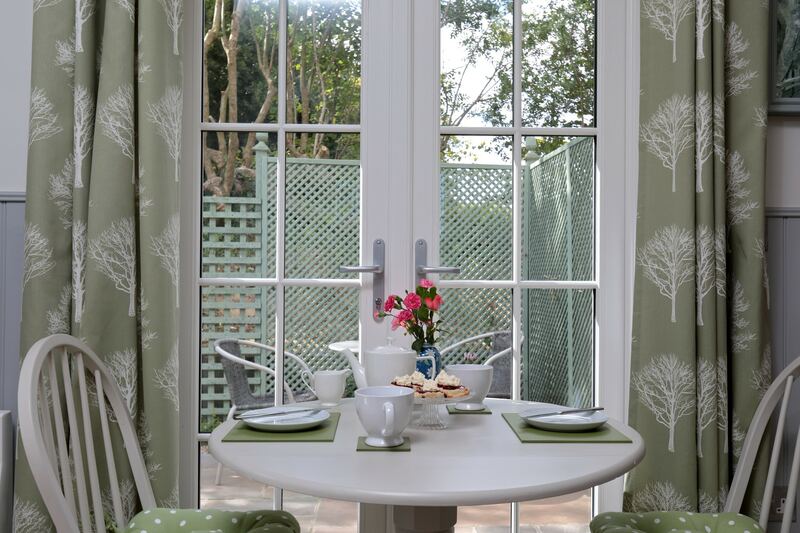 Everything has a designer touch but is put together to feel homely. 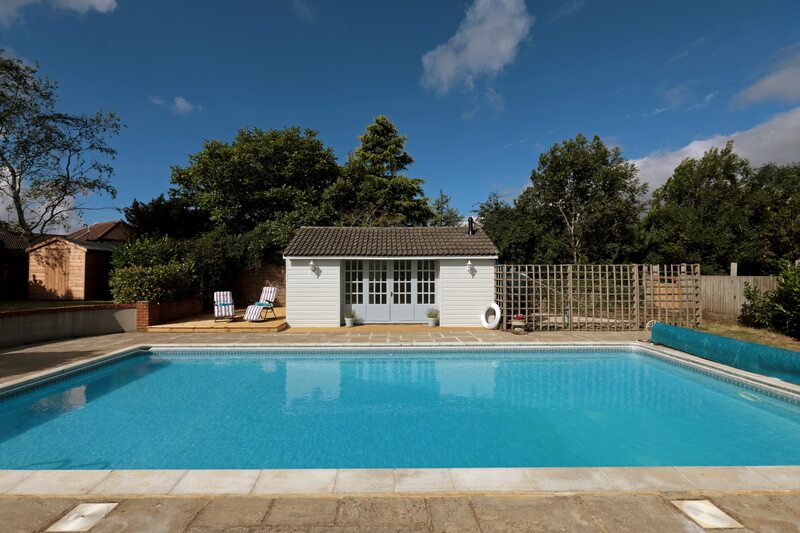 The cottage is in a lovely quiet rural location but with easy access to the main roads which makes it the perfect location for exploring Dorset. 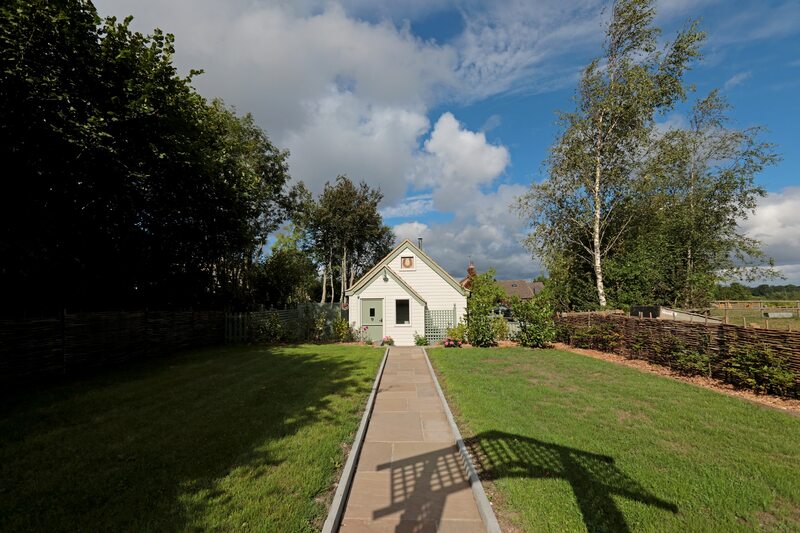 There is a delightful outside area in which to sit and relax and the garden is fully enclosed which is ideal for dogs. We shall definitely return. 10/10 for this cottage. 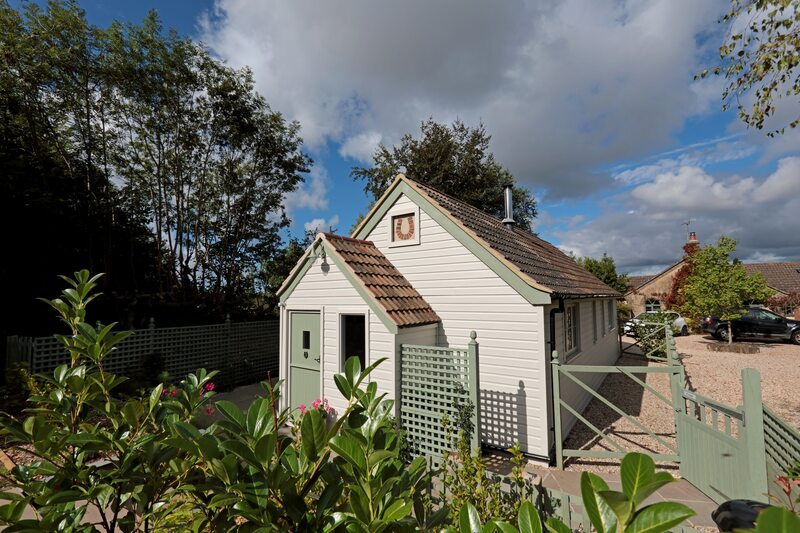 A very comfortable and well equipped cottage. 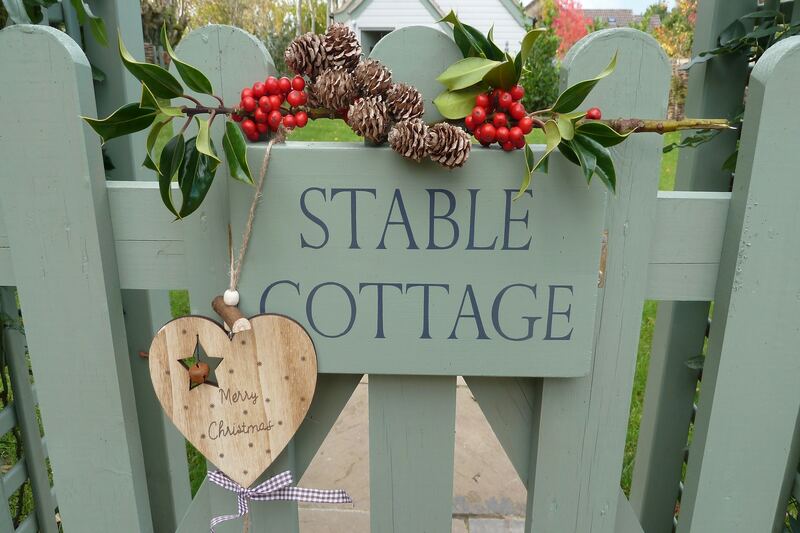 We found Stable Cottage very comfortable and very well equipped, with everything we needed to make our stay enjoyable. We were provided with a super welcome pack, probably the best we've ever had. Even the dog was catered for! 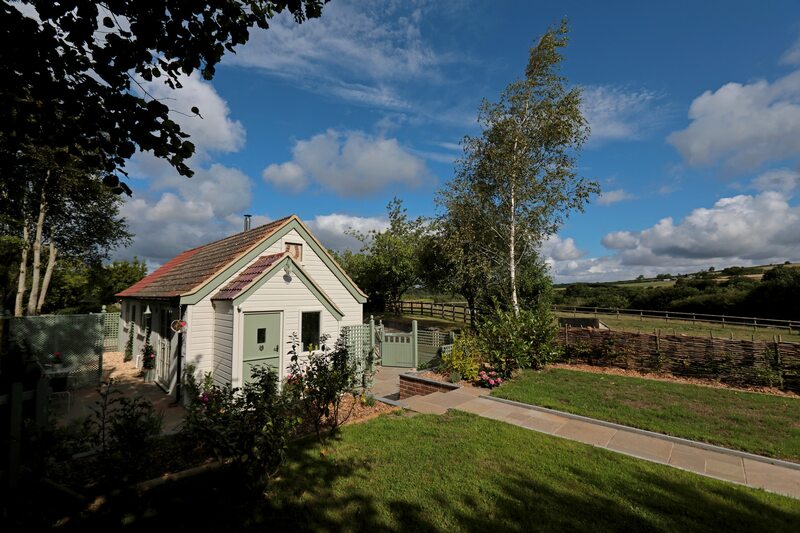 We love Dorset which we visit often and will certainly check availability of Stable Cottage next time we visit the area. 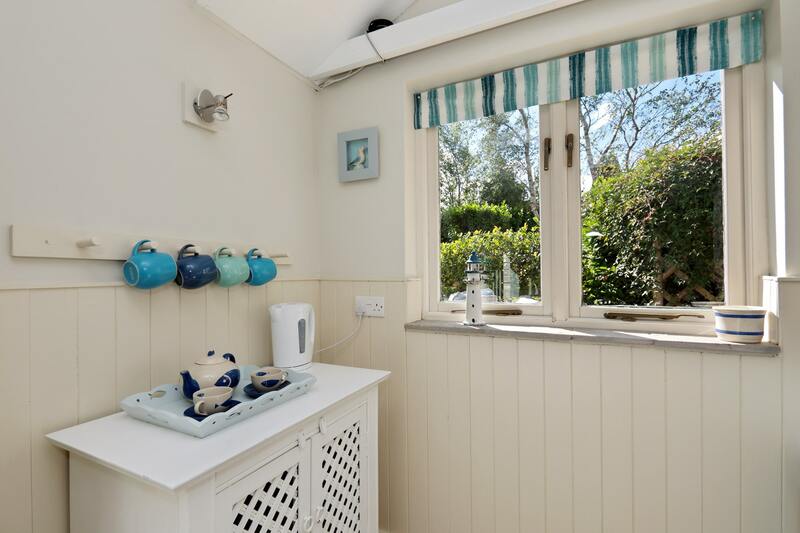 Stable Cottage is beautifully fitted out & well equipped. Their were welcome goodies, flowers, even blankets, bowls & treats for our dog! 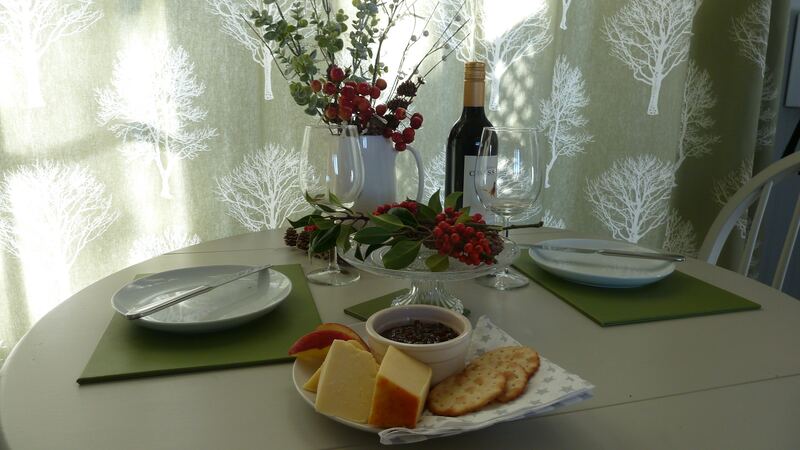 Tastefully and comfortably decorated and furnished and in a lovely location. 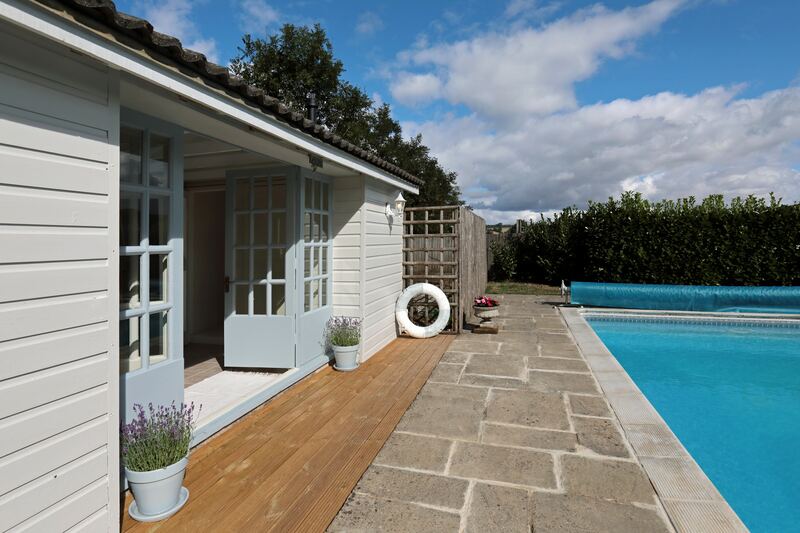 Perfect for a romantic holiday or for a quiet break on your own. 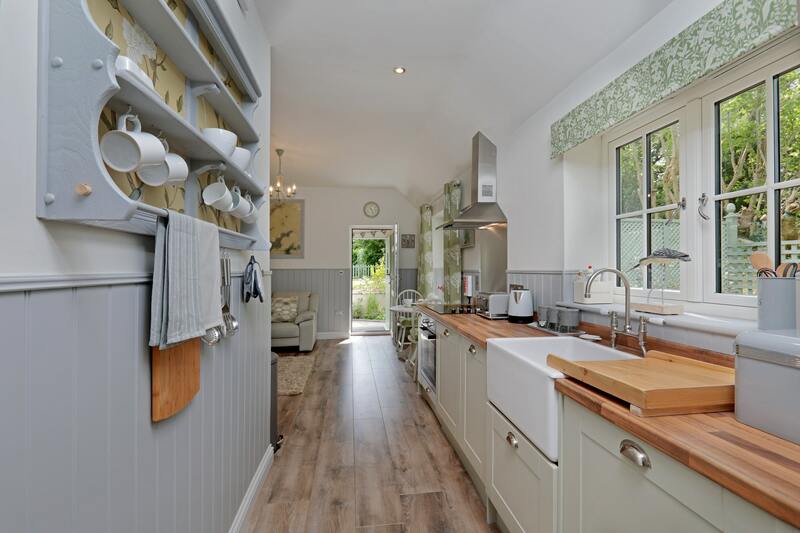 Lovely walks, beautiful countryside and close to the village of Cattistock with the perfect village shop & cafe. Lisa & Andy made us very welcome and nothing was too much trouble. The pool is an added bonus. We will definitely be going back & are recommending it to our friends. To book: Select your check in/out dates in the box below.